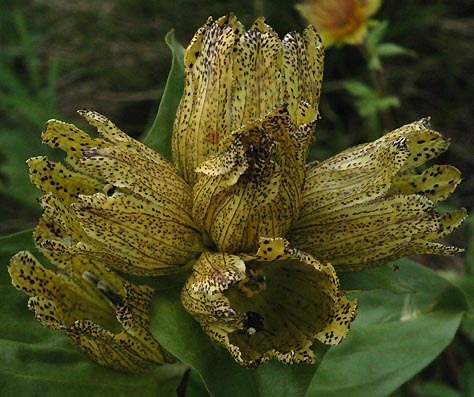 Gentiana punctata - Carinthia (Austria). 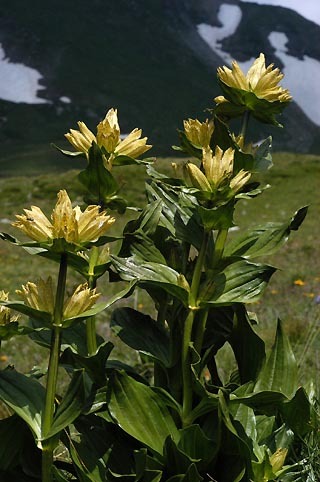 This gentian occurs in the sub-alpine and alpine meadows of the European Alps and requires a good depth of soil and full sun. The colour of its flower is rather unusual.